KEY LESSON: The IPO roadshow should tell a story that is compelling backed up by real numbers. In this chapter and the next I am going to walk through how to craft a presentation for the IPO roadshow. Here, I am going to focus on the highly qualitative aspect of describing the company in terms that investors will find interesting, not just for the IPO but also in the years to come. The average roadshow meeting lasts for about an hour. Call it 40 minutes of presentation, fifteen for questions from the audience, and five for getting in and out. Management teams should be prepared to speak for the whole 60 minutes, but will also find that instead they sometimes get 60 minutes of Q&A. By this point in their career, every C-Level executive is well versed in delivering this kind of presentation, and a good place to start with the slide deck is the pitch deck they have been using all along. Public market investors will need a bit more hand holding, so changes to the venture pitch deck will be needed. First, companies need to add a bit of education on the market they serve and the nature of their product or service. As much as it seems like public investors are climbing over themselves to invest in private companies, the truth is that Wall Street and Silicon Valley are still very far apart. Institutional investors do not read Techcrunch everyday or at least, not as closely as the tech community does. So expect a lot of basic questions. Also, there tend to be two kinds of investors in these meetings. Specialists and generalists. The specialists will come prepared with detailed questions. Management teams can often pick up good pieces of information about their competitors through these meetings. Then there are the generalists who will ask very basic questions, if they ask any at all. Also, it is worth remembering that for many of the largest funds, they have analysts who are dedicated to doing IPOs. This topic probably merits a chapter to itself, but for now, just keep in mind that roadshows can attract people who seem to know nothing about the company. Management teams need to be prepared (and patient) for this. Company executives will also need to take a refresher course in opportunity cost. Fund managers have a strong cognitive bias towards seeing everything as a zero-sum game. If one company is succeeding, investors reason, it must come at the cost of someone or something. Successful management teams do not always look at the world in those terms. I have sat in many investor-company meetings and seen the two sides struggle to bridge this cognitive divide. And this is true not only of how to look at competitors, management teams also need to understand what trade-offs they have made inside the company. By focusing on operations or intellectual property, have they starved R&D or marketing? Investors will ask these questions from a million different angles. While the goal of an IPO roadshow is to attract investors to the immediate share offering, management teams should have a secondary goal of establishing relationships with a broad swathe of the investing universe. A roadshow covers a lot of ground. Many of the investors met may not participate in the IPO, but management teams want to sow the seeds that will eventually drive those investors to buy shares at a later date. The best way to do this is to consistently deliver ‘good’ numbers – revenue and EPS that beat expectations. The next best way to accomplish this is to set out a long term, trackable goal. For example, a company with $200 million in annual revenue can say they will do $1 billion in five years. Or a component company that focuses on just Wi-Fi products may say it plans to move into mobile Wi-Fi, Bluetooth and Ethernet by the end of the decade. Of course, the key to all of this is to actually make progress along that path, and to know ahead of time that this goal is achievable. Now to be clear, the Street cares a lot more about those quarterly and first year promises than it does about those far off predictions. In fact, I know one chip company whose CEO goes around regularly telling investors that his company will triple revenue in five years. A goal he has been promising for ten years, but never come close to achieving. There always seem to be new investors come along and fall for his story, but this is not sustainable, and the stock remains highly susceptible to money flows, not fundamentals. Management teams should think of this like buying a house. They start the IPO with a credibility mortgage, that they slowly transform into equity through regular payments of delivering on their word. Those quarterly numbers are just the interest payments, but good managements pay down principal as well. Finally, as I discussed earlier, there is room for one slide of ‘pixie dust’. This should be some project that investors are told to treat as a distant, remote possibility. It is the dream of a bigger market or a bigger opportunity. For chip companies, this dream has always been ‘moving up the stack’, using Moore’s Law to eat up the chips that sit next to their products. A great example is Salesforce.com which offered a novel approach to a particular kind of software application, but when they went public they also held out this grand vision of computing taking place ‘in the cloud’ and ‘no software’ just services. These ideas are commonplace today, but when they went public in 2004 it came across as highly disruptive. This worked for Salesforce because they had already built the company on the back of it, so there was no risk that they would not achieve that grand vision. The point of this is to appeal to the non-rational side of investors’ brains. They will analyze the story, they will pick apart the numbers to three decimal places, but having this bigger vision provides an emotional appeal. As with all emotions, management teams then need to be extra-careful to not break their promise, because the penalty is much greater. In dealing with this portion of the presentation, the key is to convey confidence in achieving the vision without actually promising to do so. Nothing should be certain about this pixie dust except management’s belief that it can happen, someday. In the next chapter, we will take a look at the quantitative side of the presentation through a hypothetical company as an example. 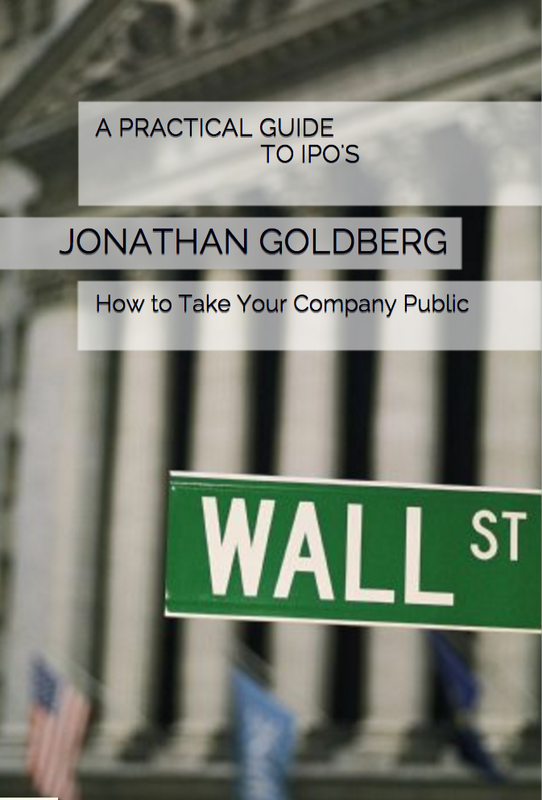 This is Chapter 11 in A Practical Guide to IPOs, you can start the series here, and find the previous chapter here. ← Qualcomm and China – 2/3rds of the way there: A Follow-up on some past posts.